Ms. Hyepin Im currently serves as the Founder and President of Korean Churches for Community Development (KCCD) whose mission is to help churches build capacity to do economic development work on a greater scale. Among KCCD’s successes include organizing and reaching out to the 3300 Korean American churches in the United States including two conferences with the White House bringing together a national delegation of Asian American faith leaders to learn about the faith-based economic development. In addition, KCCD also sponsored a historic faith-based conference held in conjunction with U.S. Department of Housing and Urban Development. Over 350 participants attended this first time conference with coverage from all major Korean media. Under Ms. Im’s leadership, KCCD has also implemented many initiatives including an ongoing weekly radio program, a historic homeownership fair in the Korean community that brought over 600 participants, a Home Buyer Center Initiative with Freddie Mac, a national database and research study on Korean American churches as well as ongoing training programs. KCCD also recently received a national grant through the Corporation for National and Community Service to place 26 Americorps Vista members in multiple states. Ms. Im is also a frequently invited speaker at conferences sponsored by such groups as the Christian Community Development Association, National Council of Korean Southern Baptist Churches, Federal Home Loan Bank of San Francisco, U.S. Department of Housing and Urban Development, Asian Americans for Equality, and the Southern California Conference of AME Churches. She has also been featured in many interviews with CNN, Los Angeles Times, Washington Post and other media including Korean media. 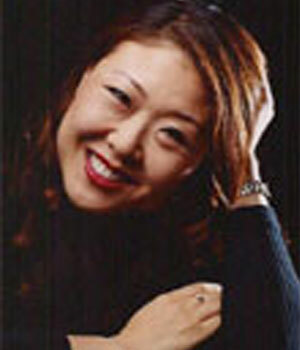 Most recently, she completed a research study that focused on Korean American Churches and Domestic Violence. The paper is titled, Strengthening Families in the Korean/Asian Immigrant Community and was supported by the U.S. Department of Labor. Ms. Im has been involved in various professional capacities related to faith-based economic development work including her most recent work as a venture capitalist for Renaissance Capital Partners, an affiliation of First A.M.E. Church and Hancock Park Associates. In her role, she played a key role in the establishment of this innovative fund with its double bottom line approach to creating not only a financial return but also a social return. Prior to Renaissance Capital Partners, Hyepin was the Sponsorship Manager for California Science Center, a three phase $265 million expansion and renovation of the California Museum of Science and Industry. In her position, Hyepin secured corporate sponsors. In addition, Hyepin, served as the Community Gifts Manager at the Science Center, and was responsible for the institution’s community outreach effort in developing and implementing strategies that created a sense of ownership in the new California Science Center from the members of the community, including the faith-based community. Her cultivation and solicitation efforts resulted in gifts and participation from a broad spectrum of the community. Ms. Im is involved in several civic activities related to faith-based economic development. Hyepin Im serves on the Steering Committee of Churches United for Economic Development, a chamber of commerce for churches involved with economic development. Most recently, Ms. Im has been asked to serve as the Chair for the Asian Faith Commission for Assemblymember Herb Wesson. Hyepin has been a frequent speaker at numerous events on leadership, community service, fundraising, faith-based economic development and on the Asian American community. In September 2000, Ms. Im was one of the faith leaders invited to lead a prayer at the opening session with Andrew Cuomo, past Secretary of Housing and Urban Development, at the HUD sponsored economic development conference. She was also invited to address the Southern California AME Conference in fall 2000. Ms. Im has also been consulted for international activities. Ms. Im was responsible for mobilizing a national and international support for helping Korean Americans reunite with their families in North Korea. Through her leadership, over 140,000 signatures have been collected online. (www.click2asia.com/reunion) In addition, in working with members of Congress and Senate, Ms. Im was successful in having a related resolution pass unanimously in both houses. Most recently, Ms. Im was invited by the South Korean government to be part of the National Prayer Breakfast and the World Christian Parliamentarian Association. Ms. Im also served as the President of the Korean American Coalition from 1995 1996 and was instrumental in raising the profile of the coalition. In 2001, Ms. Im was invited to become a member of the Pacific Council, the West Coast Partner for the Council on Foreign Relations. Ms. Im currently serves on several other boards and has been recognized for her contribution to the community. In March 2001, Hyepin was selected to be a German Marshall Fund American Memorial Marshall Fellow where she traveled to Europe over a 23-day period for the purpose of building transatlantic relationships. Most recently, Hyepin was selected to take part in the Harvard Divinity School Summer Leadership Institute to learn about faith-based initiatives. In addition, she was a featured guest on KSCI TV’s Our role models Series in June 2001. In August 2000, Hyepin was appointed by Governor Gray Davis to the Governor’s Office on Service and Volunteerism which administers an annual budget of $34 million. In 1995, Hyepin was also appointed as the youngest member of the prestigious Advisory Council on the Peaceful and Democratic Reunification of Korea. Hyepin also helped to found the Sponsorship Professionals Association, which garnered the membership of major institutions in Los Angeles. A graduate of the Coro Leadership Southern California, Hyepin, was previously with GTA Consulting Company as Vice President, and Ernst & Young LLP as Consultant and Auditor. She received her B.S. from U.C. Berkeley and her M.B.A. from the University of Southern California. She is currently pursuing her Master of Divinity at Wesley Theological Seminary.